The large crown is screw-in, so you unscrew it, and when it has come off the thread, you can use it to wind the watch or set the time. This feature is very well engineered and the size of the crown makes using it a real pleasure. The watch can be set with precision using the hacking sections function, which blocks the movement when the crown is pulled out. 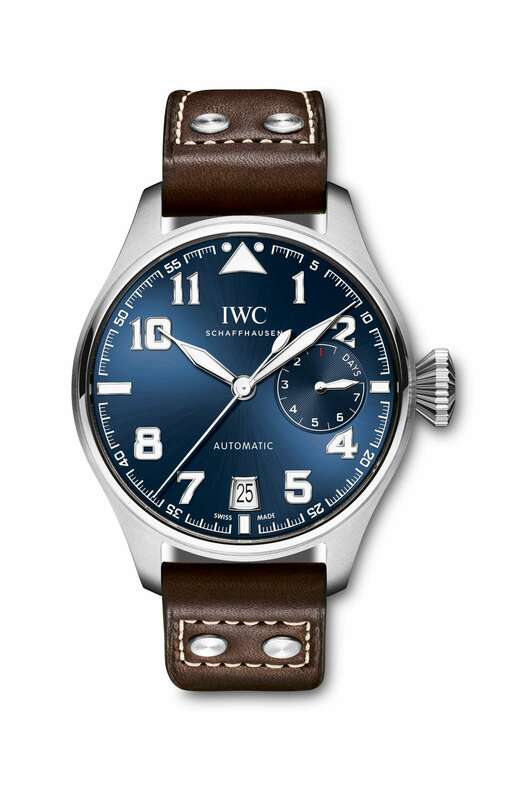 The watch is powered by the IWC-manufactured Calibre 51111, with 168 hours power reserve (seven days), displayed on the subdial at 3 o’clock. The movement itself is very large, like the watch itself (which is 46 mm in diameter and 16 mm thick). 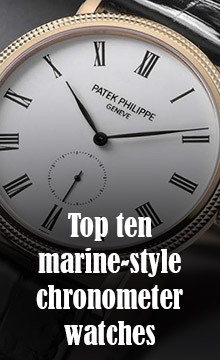 It runs at a relatively low speed, 21,600 vibrations per hour (3 Hertz), which is one of the reasons why it can attain a 7-day power reserve, and the movement of the second hand reflects this difference, with more noticeable movement when compared to the continuous sweeps of a 5 Hertz movement. It’s a bit like one of those big classic motorcycle engines, with just one or two large cylinders. 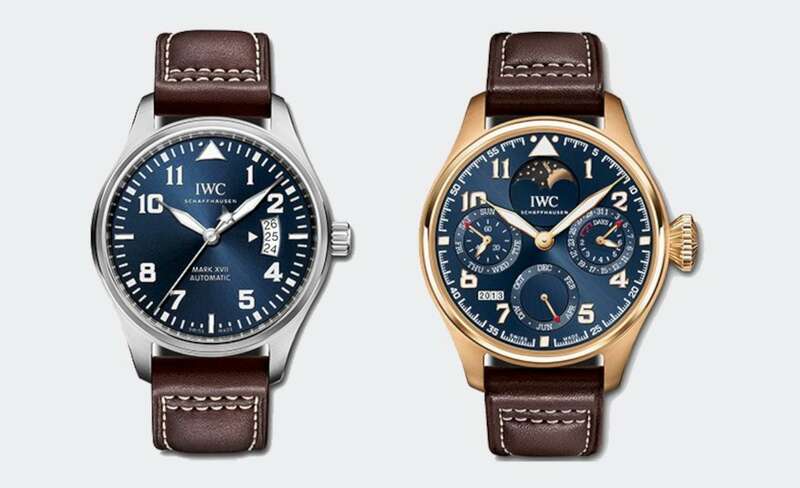 The watch could actually reach 8.5 days power, but IWC preferred to ensure accuracy throughout the 7-day period, and so the movement incorporates a device that stops it after 7 days. Another important feature is the Pellaton automatic winding system, which ensures that every movement that you make while the watch is on your wrist contributes to winding the mainspring (most automatic movements only use one direction of rotor rotation to wind the watch). The system is so good that you could even wear the watch just for a couple of days every week, and it will still keep going. As for the dream, the story of Antoine de Saint-Exupéry is pure flying passion. After many years as an international postal flight pilot in Morocco and Argentina, and a crash in the Sahara desert after which they were saved by a Bedouin on a camel, he begged to return to flying duties with the Free French Air Force and the Allies in April 1943, even though at age 43 he was 8 years over the age limit for operational pilots. The photo below, courtesy IWC, shows Antoine at about that time. He began flying unarmed F-5B Lightnings (a variant of the P-38) on reconnaissance flights. He also adopted the curious habit of reading while flying, and once, after a mission, returned and circled the airfield for an hour so that he could finish the book he was reading. He also carried a notebook in which to jot down his own literary inspirations. On 31 July 1944 he left on his last reconnaissance flight from Corsica, and never returned. An identity bracelet marked with his name, that of his wife Consuelo, and his American publisher Reynal & Hitchcock, was found south of Marseille in September 1998. Still today, even though wreckage from the P-38 Lightning has been recovered, it is still unclear whether he was shot down or was forced to ditch due to mechanical failure. 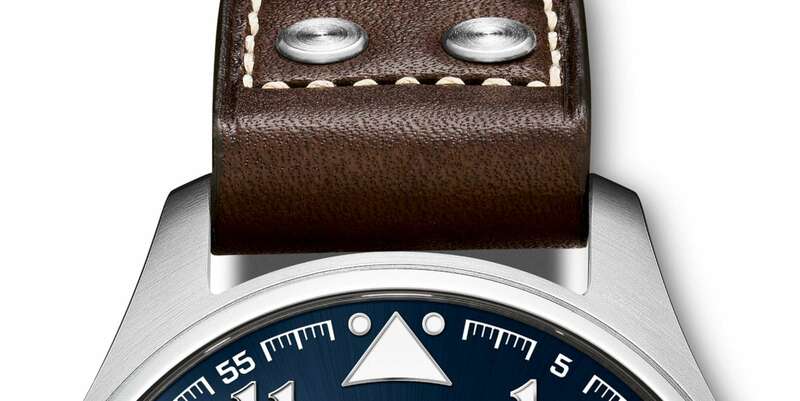 The Big Pilot’s Watch Edition “Le Petit Prince” reference IW500908 is a limited edition of 1,000 watches, with an engraved caseback bearing the inscription “IWC – LE PETIT PRINCE – ONE OUT OF 1000.” It is water-resistant to 60 metres. 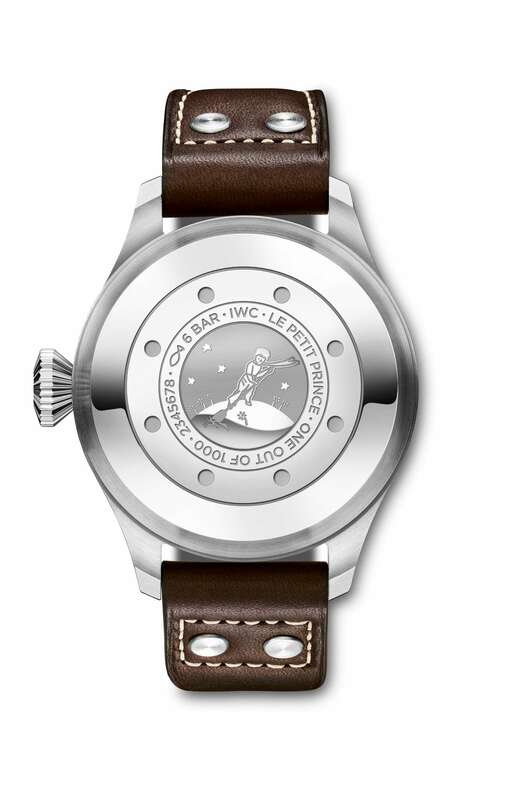 The watch is priced at €13,600, or (in the UK) £11,750.